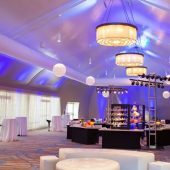 The DoubleTree by Hilton Hotel San Diego Mission Valley is adjacent to Hazard Center and will be the venue for the Awards Celebration on Saturday, September 29. 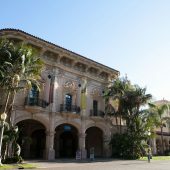 Museum of Photographic Arts (MOPA) is located in Balboa Park in the Casa de Balboa building next to the Prado Restaurant. 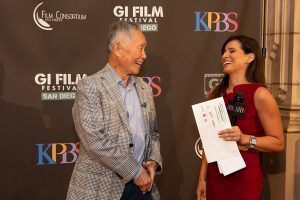 The GI Film Festival San Diego will present films at MOPA, Tuesday, September 25-Friday, September 28, 2018. The Neil Morgan Auditorium is a state-of-the-art 5,000 square ft. theatre located on the first floor of the San Diego Public Library. UltraStar Mission Valley Cinemas at Hazard Center combines the full power of digital technology with engaging, dynamic content that far transcends traditional movies. Not just a “trip to the movies”…the theater allows active engagement in live and lively events. 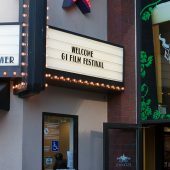 The GI Film Festival San Diego will present films at UltraStar Mission Valley Saturday and Sunday, September 29-30, 2018. The USS Midway Museum is aboard the USS Midway located on Navy Pier in San Diego, CA. 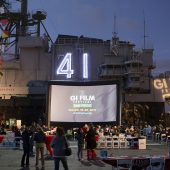 The GI Film Festival San Diego will present the annual Family Movie Night aboard the USS Midway Museum on Friday, August 24, 2018.